SANTA CRUZ, California, September 29, 2008 (ENS) - A Santa Cruz County jury has awarded $1 million to an organic farm in Santa Cruz whose edible herbs were contaminated by pesticides applied to vegetables on nearby farms. Lawyers for Jacobs Farm / Del Cabo said today that organophosphate pesticides evaporating after application and then blowing onto the organic herbs made it impossible for Jacobs Farm to sell significant portions of its 2006 and 2007 harvests of sage, rosemary and dill. While there are rules in place to control pesticide drift from aerial spraying, neither federal nor state governments regulate evaporative drift of pesticides. The organophosphate chemicals at issue in the case - chlorpyrifos, diazinon and dimethoate - are legal on the fields of vegetables where they were sprayed, but national organic food guidelines prohibit their use on organic crops. The ruling Friday is the result of a case filed in May 2007 by Jacobs Farm / Del Cabo against pesticide application company Western Farm Service, Inc.
Jacobs Farm sought a court order to stop Western Farm Service from spraying pesticides that contaminate crops at Wilder Ranch State Park, where Jacobs Farm leases 120 acres. Jacobs Farm also sought compensation for losses that resulted from pesticide contamination. The jury found that Jacobs Farm was damaged in the sum of $1 million, and Judge Robert Atack ordered judgment in that amount against Western Farm Service. The court ruled that pesticide applications by Western Farm Service resulted in trespass of the pesticides onto Jacobs Farm and were legally determined to be a nuisance depriving Jacobs Farm of the right to use and enjoy the land, caused by negligence on the part of Western Farm Services. Western Farm Services, which supplied the pesticides, said it is likely to appeal the verdict. Assessing the uses and risks of pesticides should be the job of federal, state and county regulators, not local juries, Western Farm Service said in a statement. It said the verdict "raises concerns about future use of organophosphates in California." The company said it followed standards on the product labels and county agricultural permits when applying the pesticides. The company argues that Jacobs Farm should not have come into an area where conventional farming was taking place with its "incompatible crops." "With growing public concern about food safety and the use of pesticides on food, the world has changed for conventional and organic farmers," said Larry Jacobs, president of Jacobs Farm Del Cabo. "Growing practices that do not rely on toxic chemicals already exist," he said. "We need to implement these approaches and work on expanding the toolbox so that farmers have more non-toxic options for crop production." The farm first discovered trace residues of chlorpyrifos and diazinon in October 2006. Staff and management immediately stopped harvesting the affected crops. Jacobs Farm management contacted the County Agriculture Commissioner and the state Department of Pesticide Regulation requesting that they intervene to prevent continued drift of these pesticides. Jacobs Farm also notified Western Farm Service of the problem. When initial outreach to regulators and the pesticide applicator proved fruitless, Jacobs Farm file the lawsuit against Western Farm Service. "The scientific community's growing knowledge of how these chemicals move in the environment after application was not considered by pesticide applicators or government regulators," said Jacobs. "Regulations prohibiting the continued application of pesticides that damage crops on other farms are in place. But until now, these prohibitions did not apply to damage from pesticides when they evaporate after they are applied." 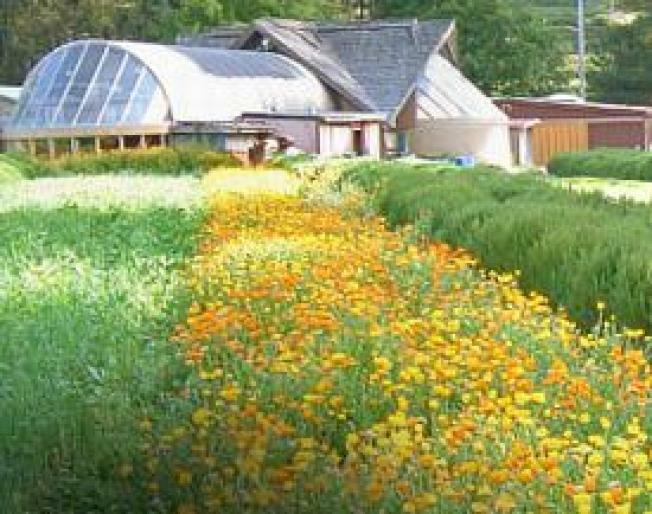 Located on the California coast south of San Francisco, Jacobs Farm, founded in 1980, grows certified organic culinary herbs and edible flowers. In 1986, the Del Cabo project was founded to accomplish social change for the growers of Del Cabo, a cooperative of small family farms in Baja California that produces organic basil, cherry tomatoes and other certified organic produce. Jacobs Farm has four farms in the Northern California growing region and combines its production with that of Del Cabo's, for year round availability.